In Thailand, there's the legend of the Nang Tani, a female spirit who often haunts wild banana tree groves. These spirits are known to appear on nights when the moon is full and bright. Dressed in traditional Thai costume and floating above the ground, the Nang Tani is a gentle spirit. This isn't to say the Nang Tani doesn't have a vengeful streak - cutting down their favorite wild banana trees will result in getting cursed. Also, legend says they avenge women who have been abused and mistreated by men. Because of the Nang Tani, it's considered ill-advised to have wild banana trees close to one's home. (After all, who wants to live near a spirit?) Those trees thought to house a Nang Tani are often tied with a piece of cloth in order to warn others. The bananas of these wild trees are inedible due to their seeds, but their leaves and flowers are thought to possess magical and healing properties. There is also a Chinese myth about a spectral banana maiden as well. Depending on who tells the story, this kindhearted spirit goes out of her way to save lovers who are pulled apart by circumstances beyond their means such demons or disapproving parents. When the spirit uses up too much of her life force helping others, her body becomes a banana tree. Burmese origin myths state that the very first food that man ate when he was created was the banana. When the first man was hungry, he wandered the forest for something to eat and came upon a flock of birds eating the yellow fruits. He then chased the birds away and brought the bananas back to his family. Because of this, the banana is called hnget pyaw, which translates to "the birds told." 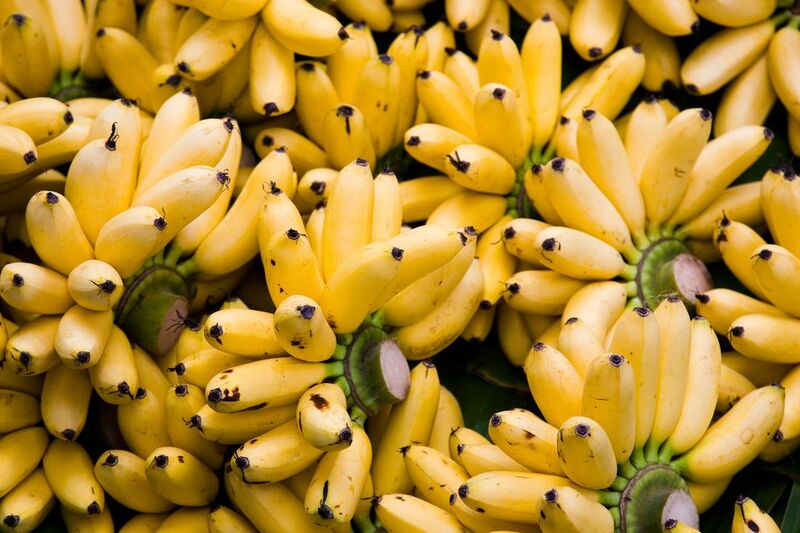 The banana is also an important part of African mythology - naturally, as the word banana is thought to be West African in origin - and is often related to concepts of childbirth and fertility. Many origin myths say that the first man was born of the banana tree. In Uganda, it isn't uncommon for families to bury the placenta of a newborn at the foot of a banana tree. The leaves of these trees can then be used to help a woman conceive, but eating the fruit of these special trees is forbidden as the fruits are connected to the souls of the children they are connected to. Some, of course, think the banana is the fruit that Eve ate in the Garden of Eden. Though, to be fair, many fruits hold this dubious reputation including the fig, apple, citron, pomegranate, and peach. Do You Know the Difference Between Jam, Jelly and Marmalade?